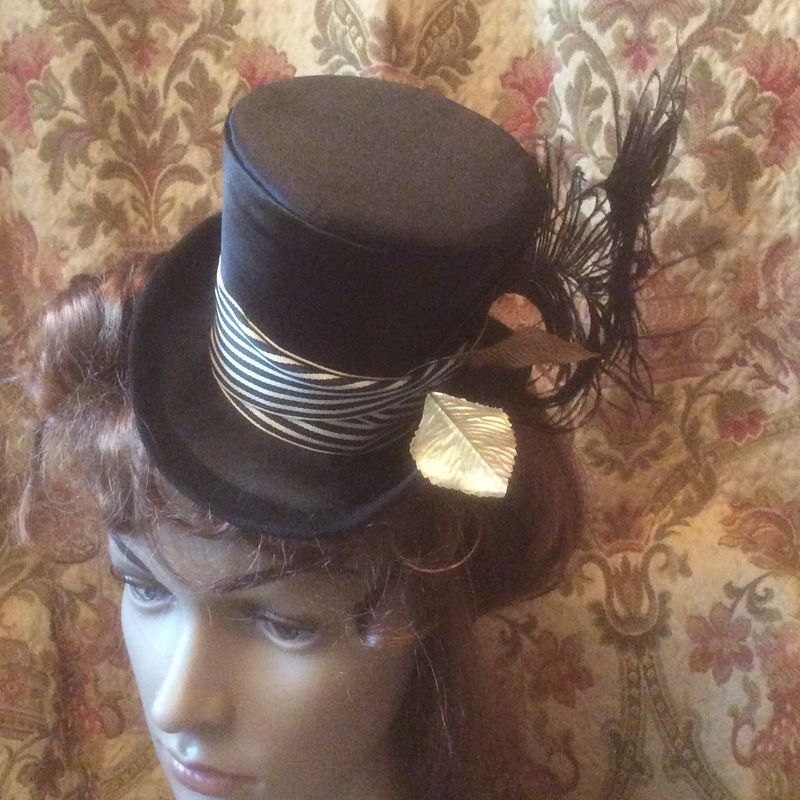 The top hat is a steampunk staple. 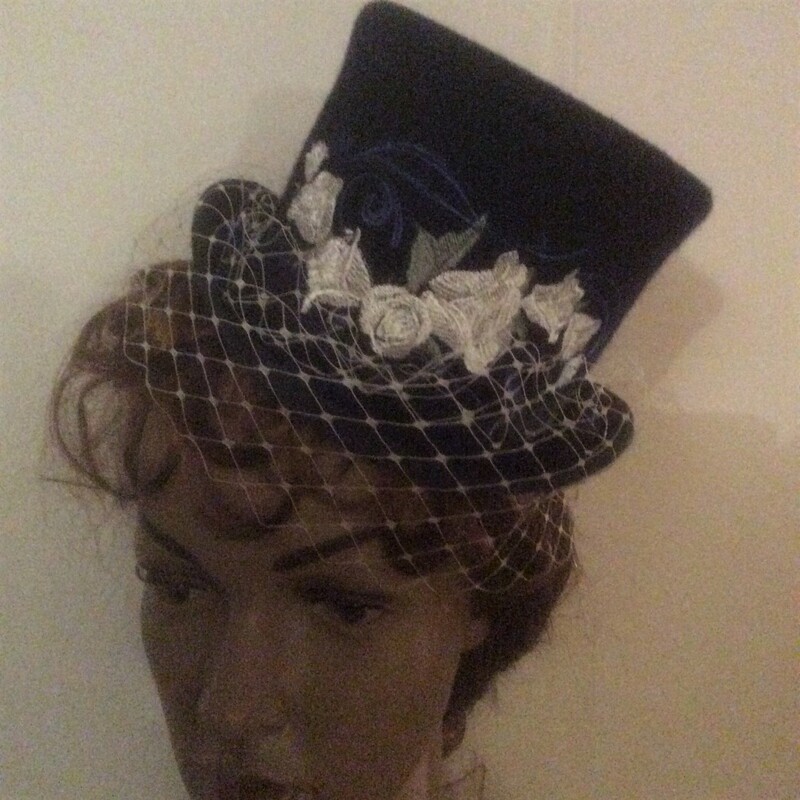 This is a midi-sized topper which can be decorated with emboidery,goldwork, feathers, ribbons and bows. The choice is yours . 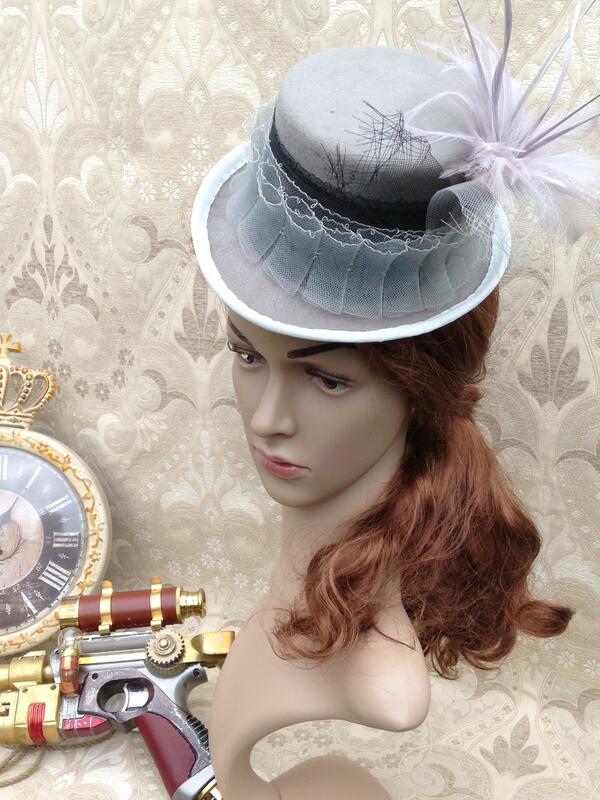 This hat is often chosen by steampunk brides. 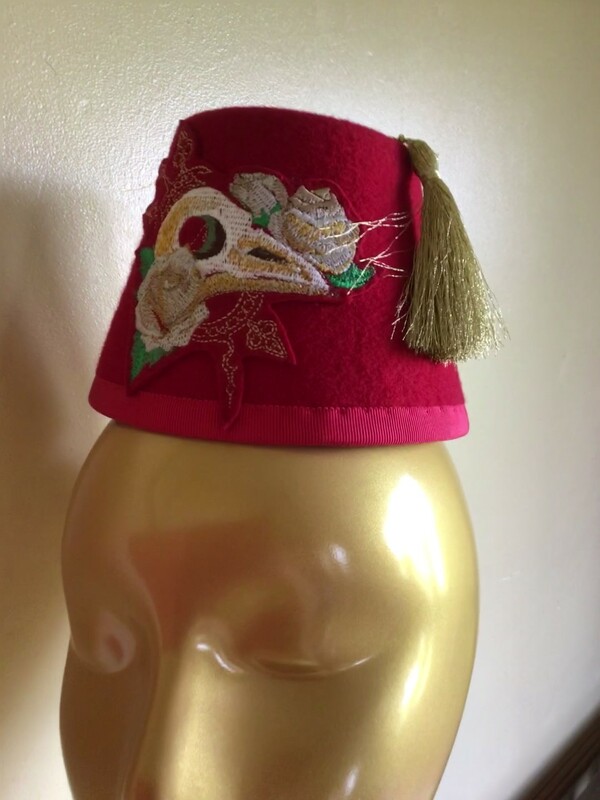 The hat decorated with goldwork is currently available to view in The Milliner's Guild, Bristol. 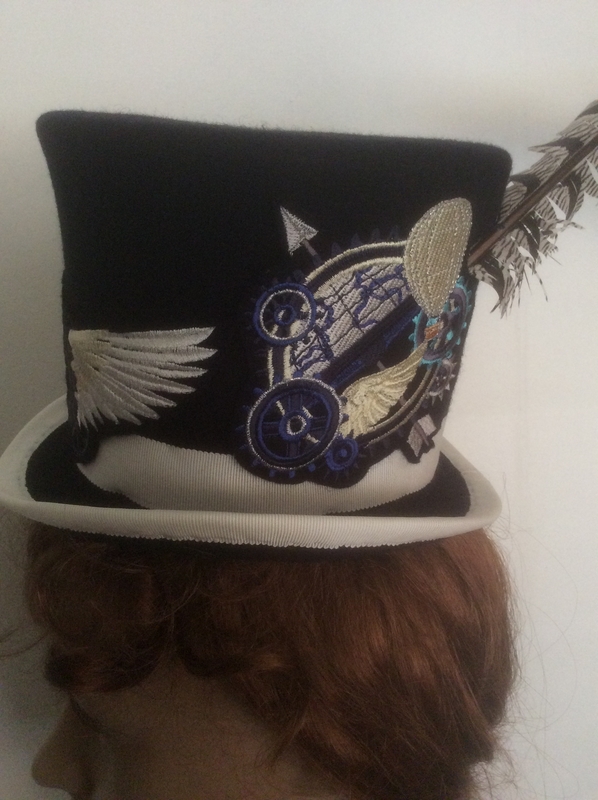 Steampunk embroidery designs are by Urban Threads..
Adeline can be in a colour of your choice and with various decorative designs. Price available on request. What would Cpt Jack Sparrow have done to own one of these! 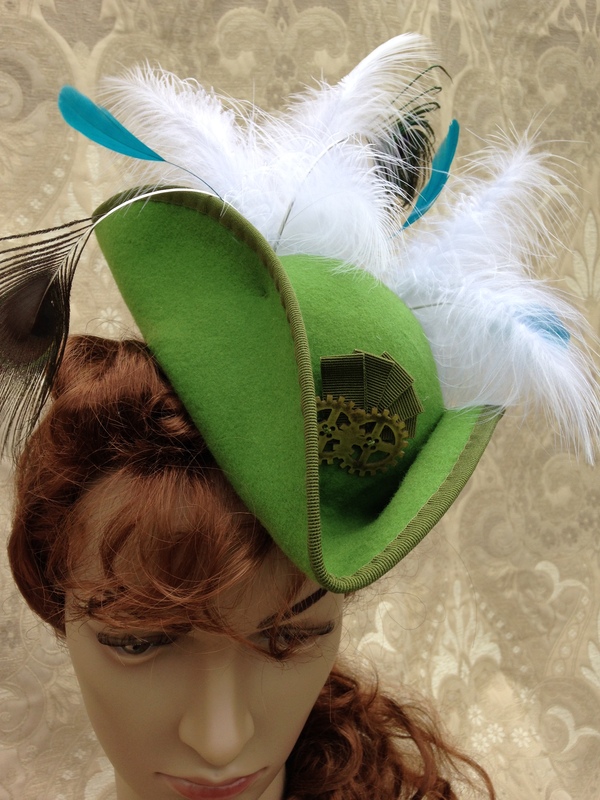 Midi-sized pirate tri-corn in green felt with a wealth of ostritch feathers,. 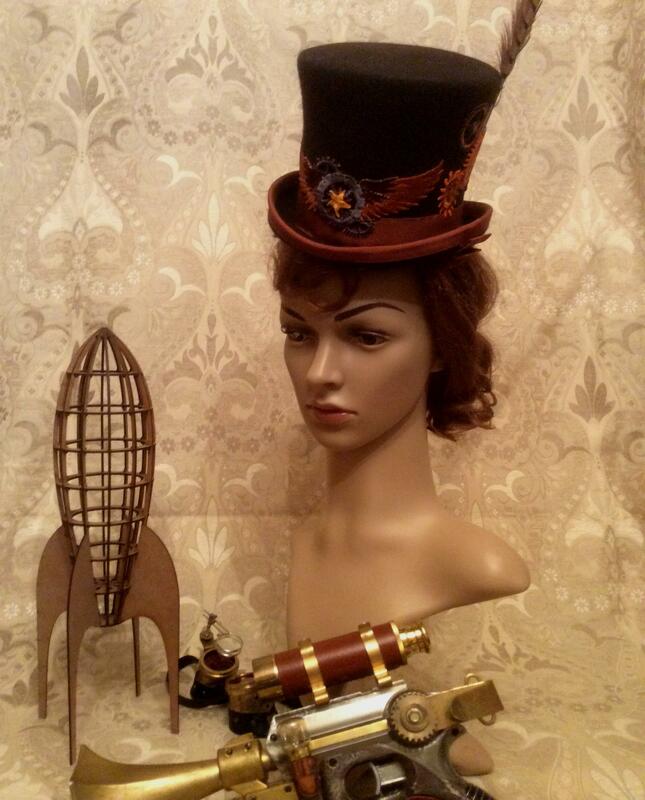 Perfect for sailing the seven seas, or even steampunk! 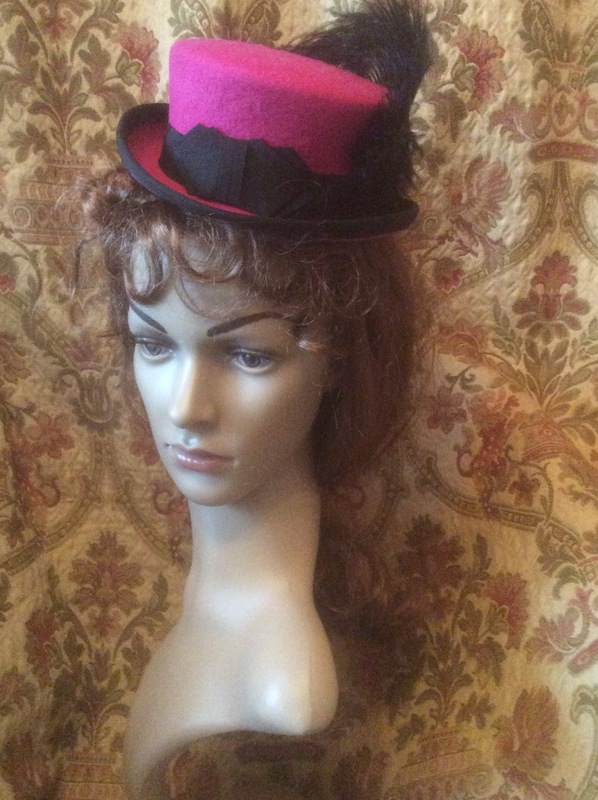 A perfect midi-sized bowler hat. 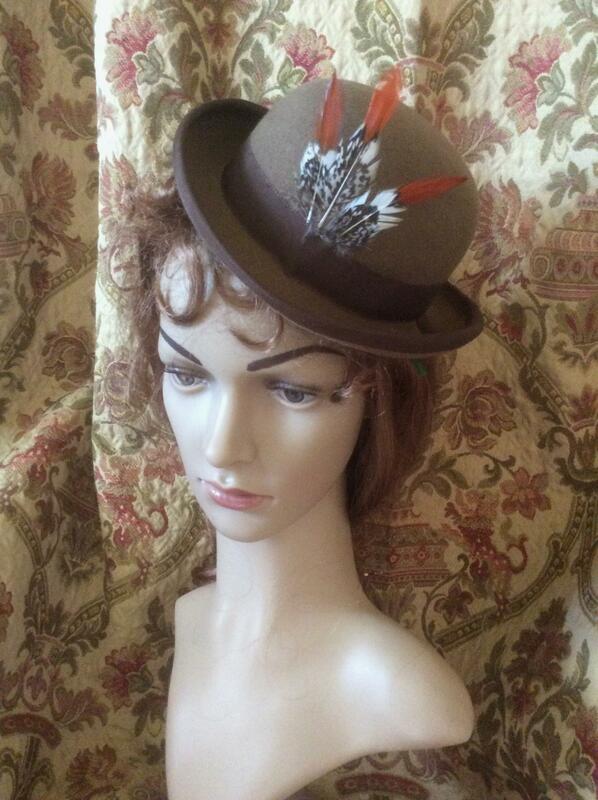 Can be left plain, have a touch of feathers or really feminise this with roses and feathers. The choice is yours. Play around with the colours and go for something unconventional. How about a deep red or perhaps purple. It is up to you. Priced from £90. 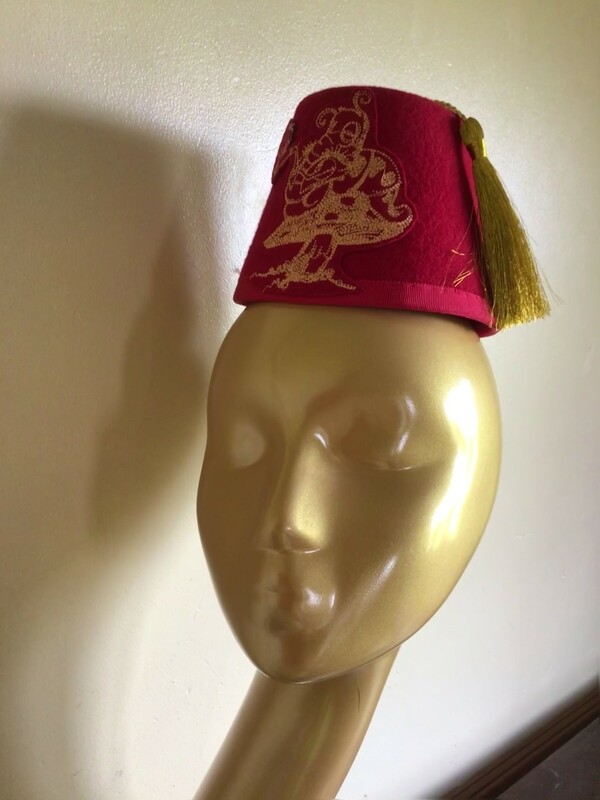 A fun mini Fez with a design of your choice or completely plain. From £45. 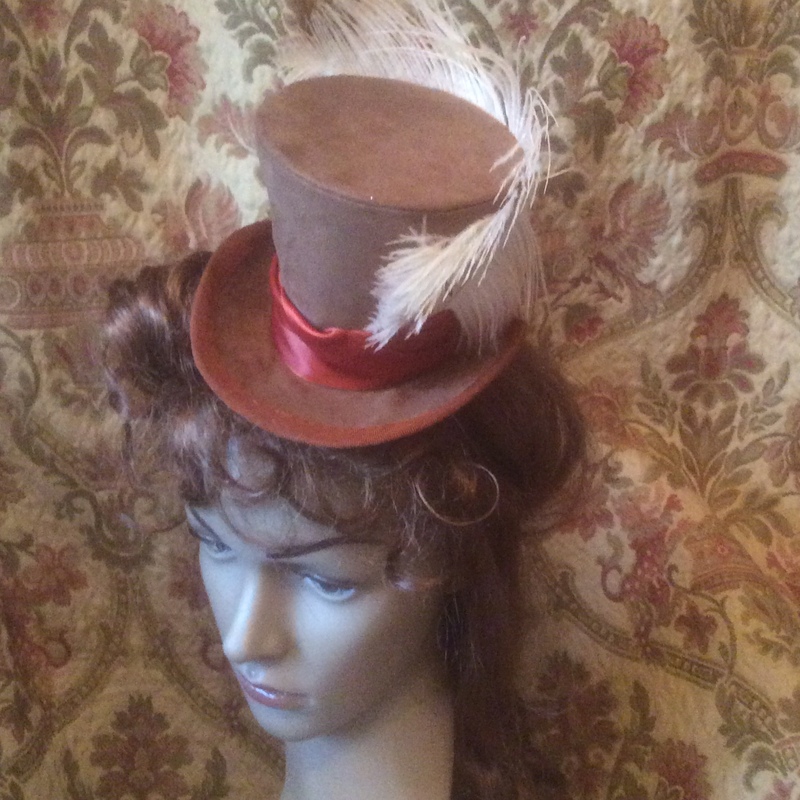 A copy of an Edwardian style from 1907, This is almost a mini top hat, but has that little bit more style. 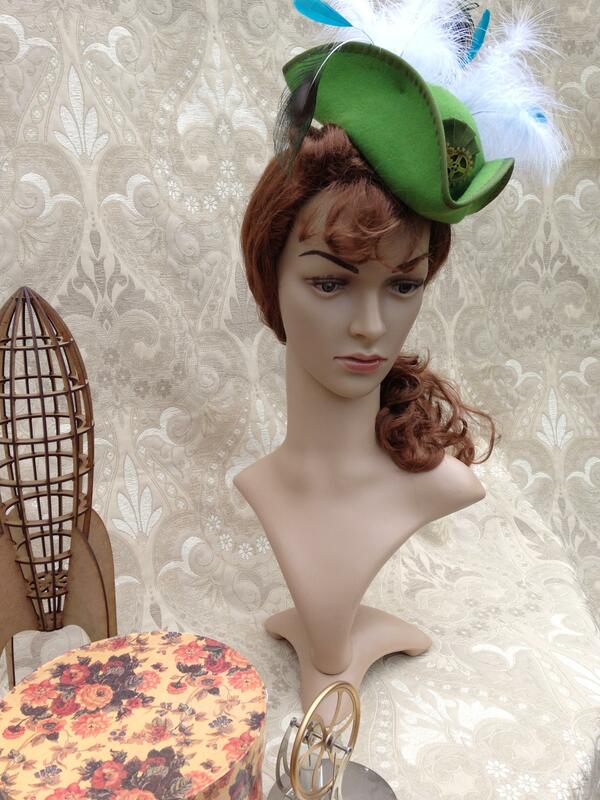 Perfect for steampunk or with an Edwardian outfit. 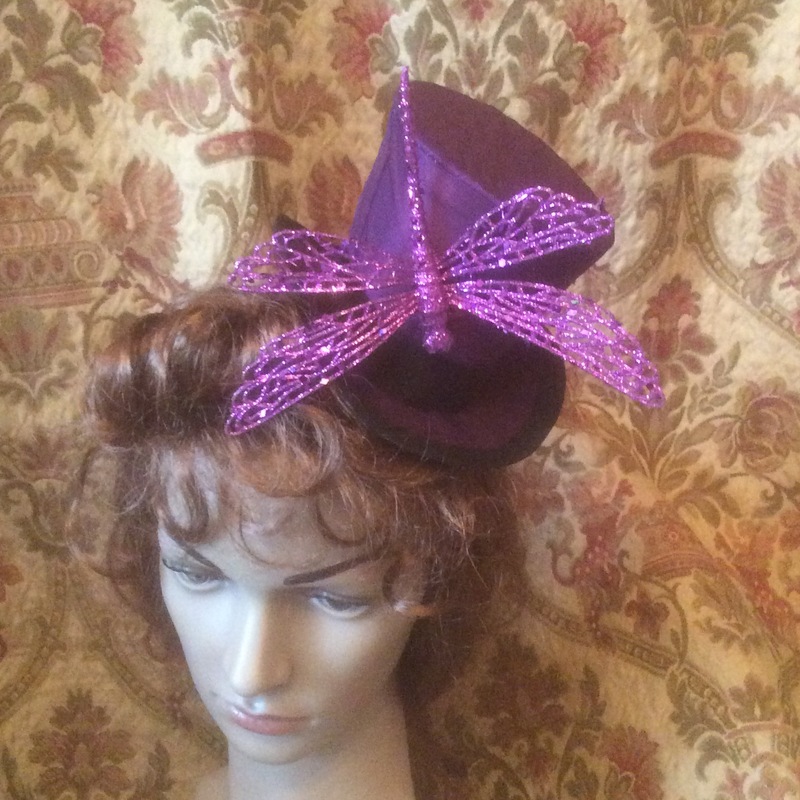 Low crownes topperd can be made in many colours with contrasting trims. 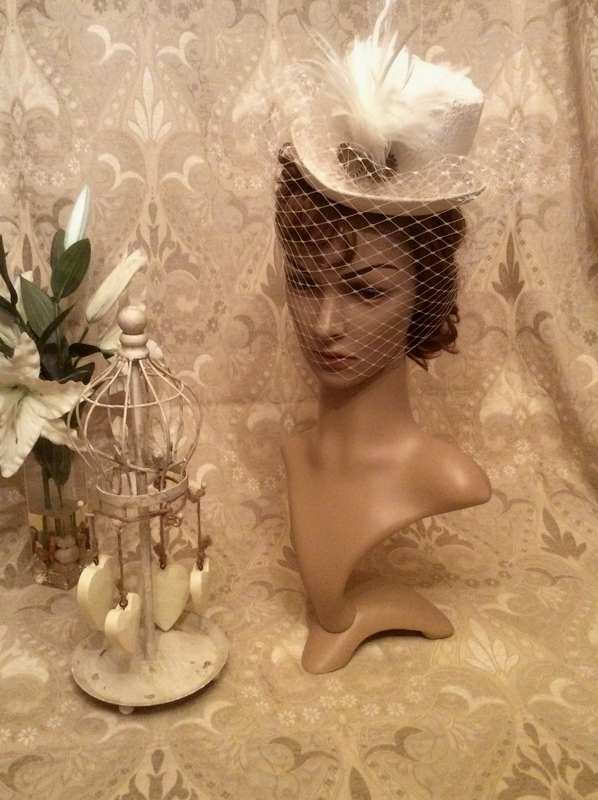 This would make an excellent option for the bride - perhaps in cream with cream trim and may be the addition of a birdcage veil. 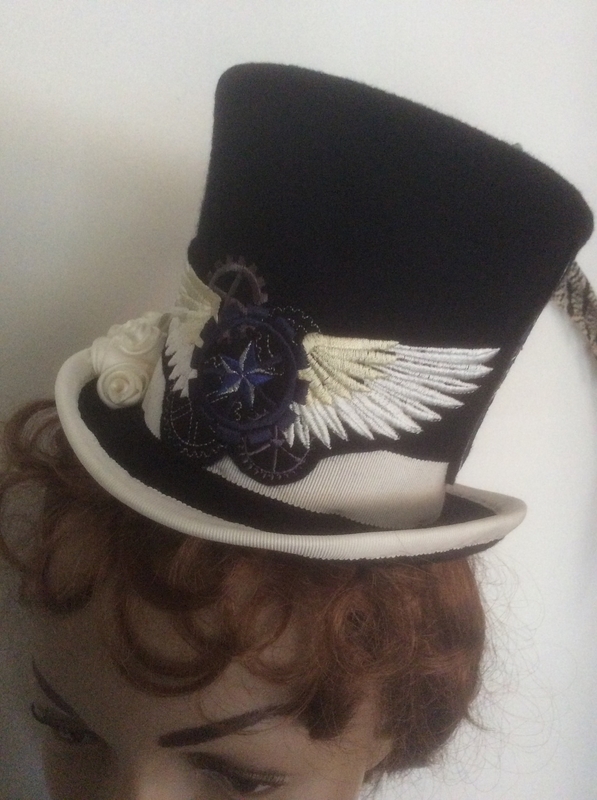 Mini top hats are available by request. Design, decoration and colour to your requirements. 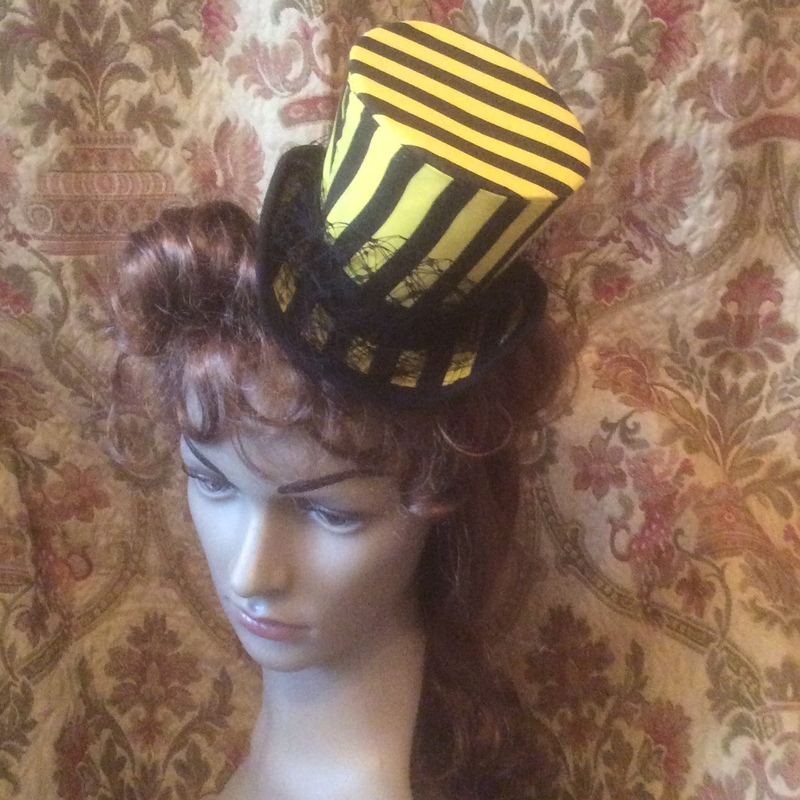 Mini top hats start at £45. 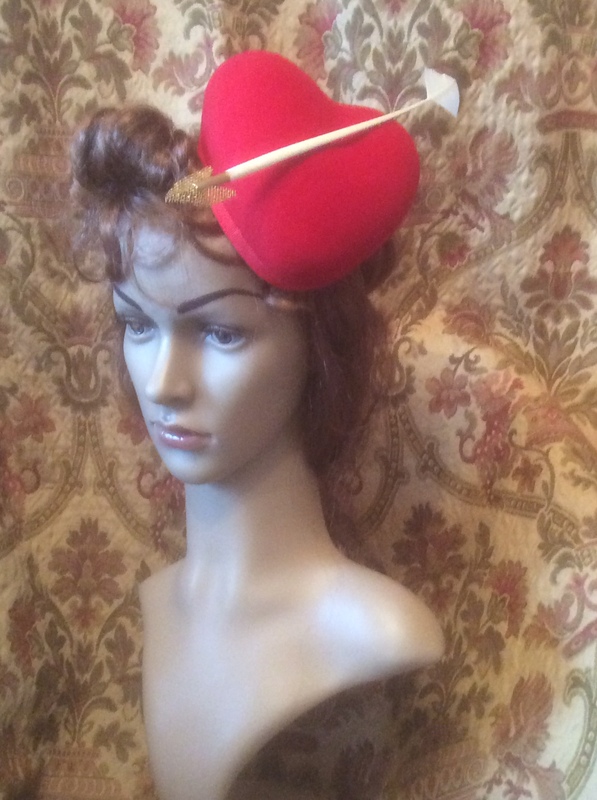 Headpieces and hats can also be made to your own specifications. The example shown was a special order for a bride. 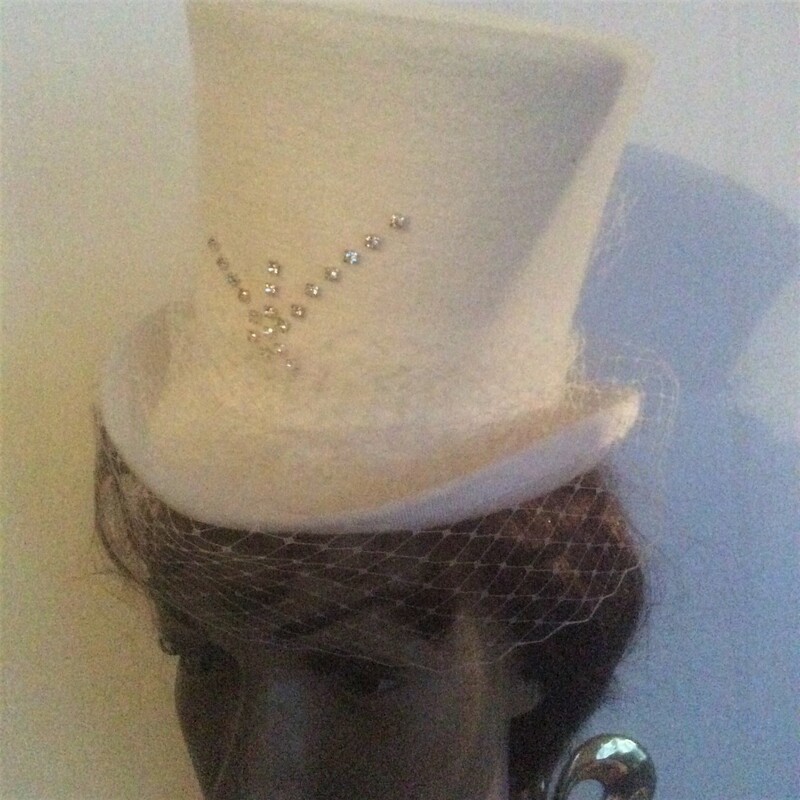 A buckrum hat was constructed and covered in white crushed velvet and lace from the brides wedding gown. 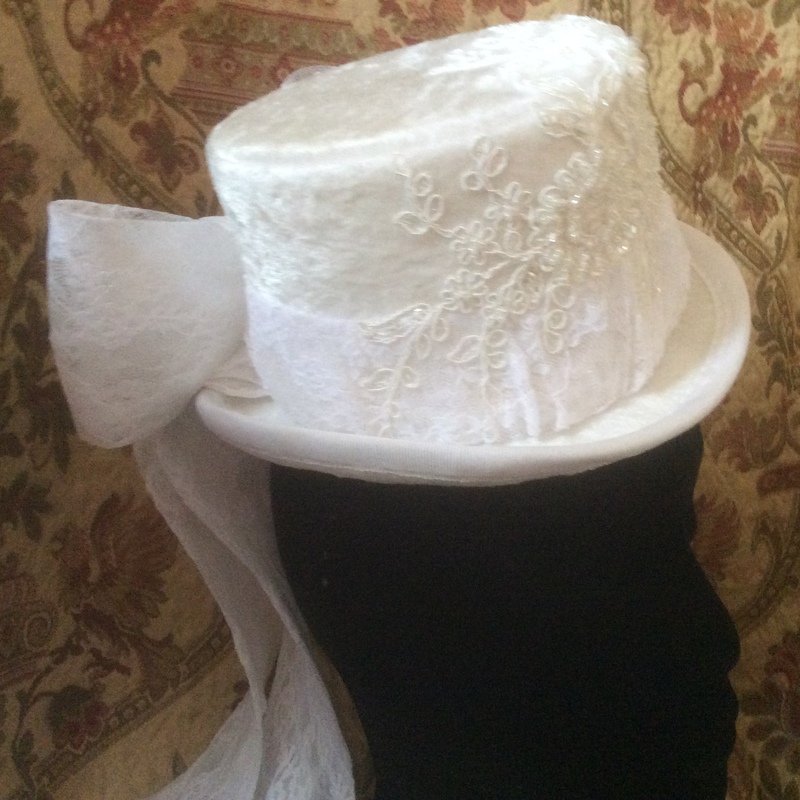 A lace band and bow was made to fit around the crown and it was topped off with trailing ribbons stiffened with crin. 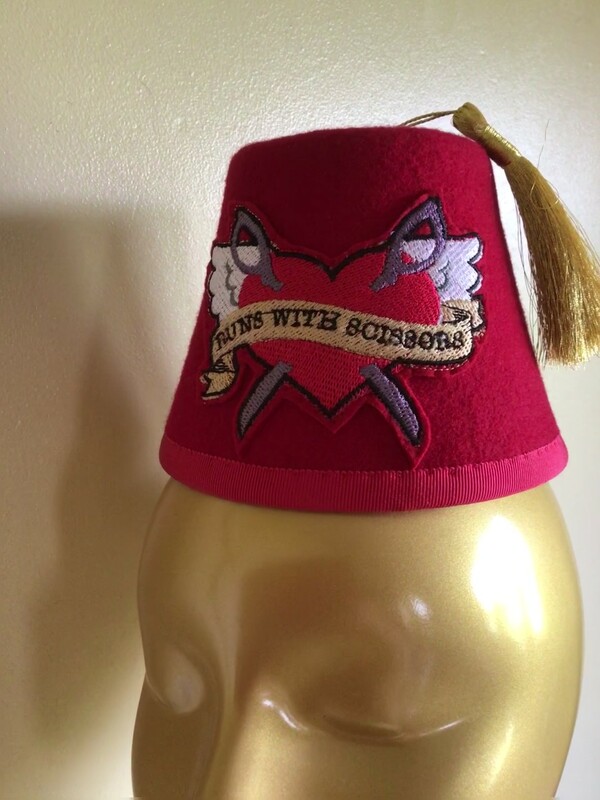 Let your imagination free and talk to us about what you really want to wear on your head on your wedding day!